or another computer in your office? Contact us at 800-257-1192 to purchase a second copy for 80% off. 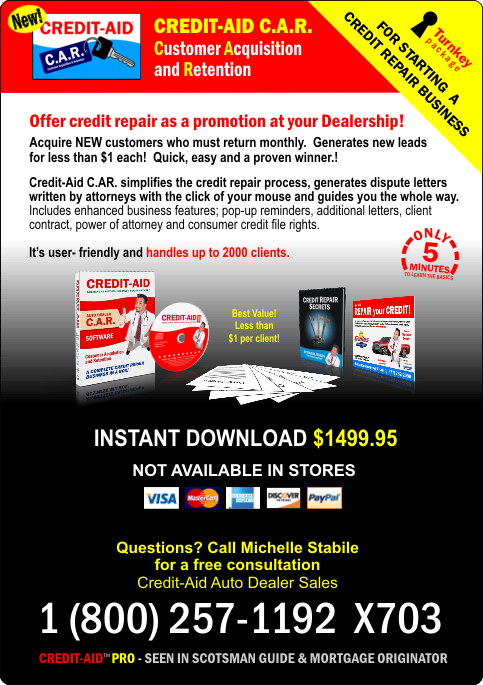 This turn-key credit repair business startup opportunity will pay for itself with the first few clients. After that, it's all profit.